Providing habitats for fish that love to burrow and sleep in the sand, such as dragonets, wrasses, gobies, and jawfish. Providing a major food source for sand-sifting fish such as gobies, which filter the sand for food intake. Is a place for copepods and amphipods to live and thrive in your tank as a natural, nutritional food source for your fish. Acts as biological breeding grounds for healthy bacteria to eat toxic nitrites and ammonia in your tank. Can be made into deep sand beds for natural nitrate reduction. Visually appealing; comes in a wide variety of colors from beachy tan or white, to black. Available in many particle sizes. Small sizes for aquarists interested in natural nitrate reduction to grow bacteria colonies. Medium to large sizes for burrowing fish that need sturdiness to build with. 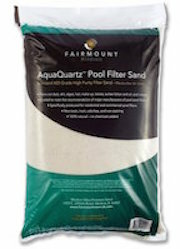 Calcareous sand buffers pH in your water to maintain a stable and comfortable ecosystem for your fish. Inert sands have no impact on pH or water hardness. 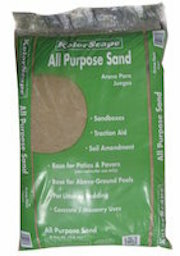 These sands can be used in any tank regardless of freshwater or saltwater. This also means fish enthusiasts can control their fish tank water parameters without the impact of sand if they wish. 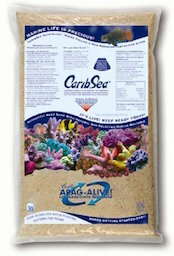 Fine sand makes for easy cleaning of your substrate. Gravel and other large rubble constantly accumulates sinking debris, whereas fine sand keeps debris on top and blowing around the tank for your filter to catch. Read below to learn more about these great types of sand for your aquarium. Though excited to renovate or establish your aquarium with your new sand, you should take caution and clean the sand before use. The result of unclean sand added to an aquarium is monstrous: brown, cloudy water for weeks. Debris in your tank that are harmful to your fish. Rushing and not taking ten minutes to clean your sand will result in a consequence lasting much longer. Place a five gallon bucket, or any other suitable large container on your lawn. Fill the bucket halfway with your aquarium sand. Fill the bucket almost full with clean water; purified reverse osmosis water if possible. It is recommended to use reverse osmosis water so that excess nutrients from tap water do not end up in your tank causing unwanted algae bloom. Stir the sand with your hand until the water is cloudy. Dump the dirty water out of the bucket. Repeat swirling and changing the water until the water is no longer cloudy This means your sand is clean and ready to use. Your fish need very fine sand to filter-feed, such as the sand-sifting goby. Your fish need specific, large-grained sand and rubble substrate to burrow in, such as jawfish species. Before purchasing pool sand or play sand for your aquarium, make sure to check and see that it is nontoxic; no added chemicals, as this could harm your fish. For beginner aquarists, or simply those establishing a new aquarium, live sand is the best choice to make. In a completely new tank, there will be very little water buffers to keep your water parameters in check. This means that your water can have ammonia, nitrite, and nitrate level spikes, as well as unstable pH and hardness: this makes your fish uncomfortable, stressed, unhealthy, and disease-prone. Fish oftentimes die by “new tank syndrome” because some beginners do not know how to properly cycle a tank, and get the ecosystem stabilizing. 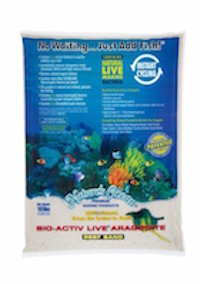 Live sand is an easy way to drastically improve your fish tank’s water paramters. Live sand contains millions of bacteria per pound, which will dissolve ammonia and nitrites, supressing the nitrogen cycle that is throwing your water parameters on a frenzy. Healthy algae, micro-organisms such as copepods, and your fish, will all be much healthier when live bacteria enters your tank. Black Tahitan Moon Sand is beautiful, and water parameter inert, meaning it will not change the pH or hardness of your water. This sand is for aquarists who are successfully cycling their tank without needing assistance of live bacteria, and for people who wish to add some dark contrast to their tank with this dusky pallor color. Nitrates makeup the third-stage of the nitrogen cycle in your fish tank. Fish and nutrient waste are decomposed and broken down in your aquarium. First they turn into ammonia, secondly into nitrites, and lastly are converted into nitrates. Nitrates are the least toxic of the group, but the most difficult to get rid of. Ammonia and nitrites are eaten by bacteria and plants, but nitrates must be eliminated by equipment and tactics such as protein skimmers, filter systems, constant water changes, ammonia-eliminating chemicals, or natural deep sand beds. Deep sand beds will work optimally if your sand particles average around the size .125 mm because this contains mega surface area for bacteria colonies, and because small organisms such as copepods and amphipods prefer this grain size and will breed rapidly here. Aragonite sand is recommended for this task because it is smooth and easy to sift for infauna: your livestock that will sift and move your sand, and provides pH buffering to stabilize the ecosystem. Deep sand beds work by creating a homeland for bacteria, copepods, amphipods, and other healthy micro-organisms. These organisms will eat debris, excess fish food, and waste that settle on the aquarium floor; ammonia and nitrites. This reduces your nitrate levels dramatically by decreasing nitrite levels so that they cannot be broken down into nitrates. Deep sand beds should never be used if your fish tank contains sand-sifting-for-food fish such as sand-sifting gobies because they will eat the migro-organisms that you need in order for your deep sand bed to work and thrive. What About Toxic Hydrogen Sulfide Gas? This con of deep sand beds is easily combatted by maintaining a cleanup crew. Malaysian trumpet snails, sea cucumbers, worms, and brittle stars can be added to your aquarium to live in your deep sand beds. They will sift the sand so that no gas buildup can commence. They will also help to eat debris and suppress the nitrogen cycle in your fish tank. Add clean aragonite sand around .125 mm in size to the bottom of your aquarium, in height reaching approximately 4 inches. Take care and add the sand while no livestock is in the tank, or carefully contain it until it is near the bottom of your fish tank and add sand one inch at a time so that your fish adapt and tolerate a small amount of blown sand rather than a sandstorm. Add one to two inches of live sand to the top of your aragonite sand. This sand has living bacteria that will transfer onto your aragonite sand, and start the thriving process. Add sand-sifting snails, sea cucumbers, or brittle stars to your aquarium to prevent toxic hydrogen sulfide gas bubbles. Over time, make sure you have sand-sifting critters alive, or else this cycle will end by buildup of debris and waste suffocating micro-organisms. It may be conceived that sand is hard to clean and clogs filters as well as blowing around the whole tank causing a mess. These notions, however, are false. Do not overfeed your fish. Only feed as much as they will eat before it falls to the floor. 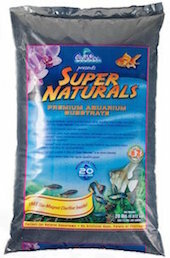 This ensures no waste buildup from excess fish food; less debris on your sand. Siphon your sand with a “gravel-vac” around once a week. Hold it one-fourth inch above the sand. This ensures that the sand will not get sucked into the gravel-vac, and debris and waste will get sucked off the top of your sand efficiently. Invest in snails, sea cucumbers, sand-sifters, or any other livestock that will eat debris off your sand as well as stirring the sand. Stirring the sand keeps bacteria oxygenated and thriving; eating waste, ammonia, and nitrites. This also means no toxic gas bubbles will build up in your sand. If your sand is not being stirred enough by livestock, stir it manually every few days to keep the sand oxygenated and free of debris and waste. Learn about other types of aquarium substrates here. This entry was posted in Equipment on May 5, 2018 by Joshua@themandaringarden.